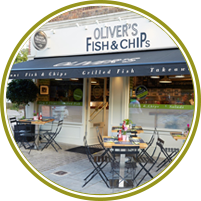 Oliver’s Belsize Park has an intimate restaurant with 30 covers which will be open Tuesday to Sunday for lunch and dinner. We recommend booking for dinner and weekend lunch times. 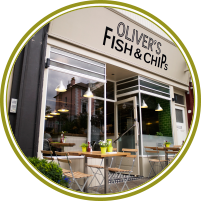 Please call us on 020 7586 9945 for reservations or drop us an email at belsize@oliversfishandchips.com and we will confirm your booking by return email. Oliver’s Whetstone has a dining area for 7 to 8 covers plus a window bar area for a further 4 covers. We therefore strongly recommend booking if you would like to eat in our dining area. Please note that we don’t accept reservations for Friday nights. In the Spring and Summer months we offer a further 16 covers outside in our front terrace area. We open Tuesday to Sunday for lunch and dinner. 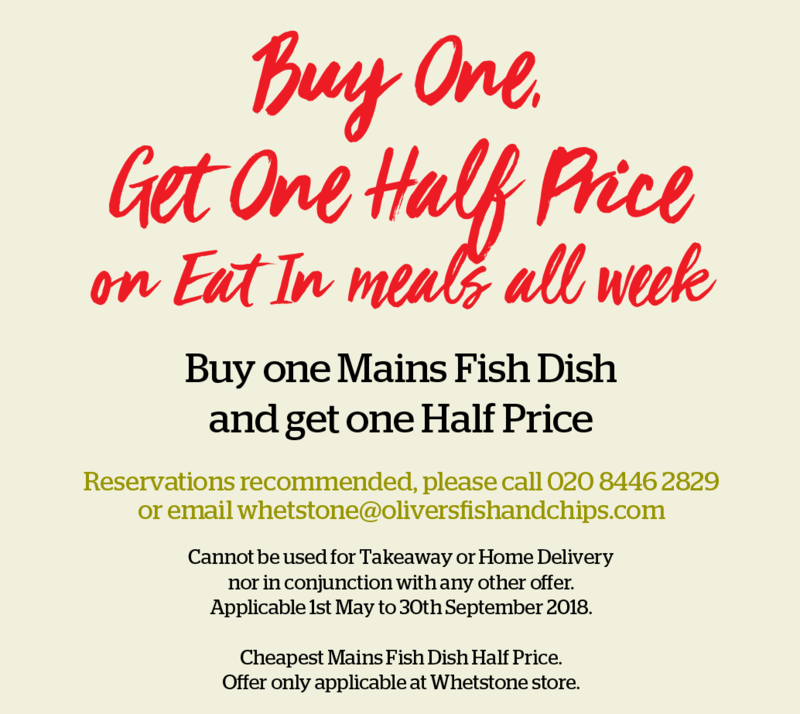 Please call us on 020 8446 2829 for reservations or drop us an email at whetstone@oliversfishandchips.com and we will confirm your booking by return email. For Orders from our Whetstone Branch as of 1st October 2015 choose from one of these special offers on three of your Online Orders for collection or home delivery. *All offers can be taken within your first three months of signing up to Oliver’s Online. Each offer can be used once only within the period. 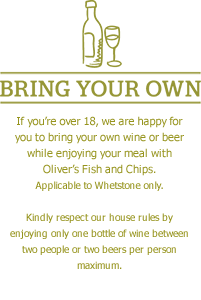 We are now pleased to offer the free delivery and 25% discount for your first two orders from our Belsize Park Branch. Please note 2 for 1 offers are not available at this branch.